As millennials, we are often seen as the ones who are out to change the world. In addition to the way technology has become an integral part of our everyday lives, another example of our impact has been the way we consume food. Of course, it's no secret that we love dining out. Yet, unlike generations before, the fact that we love eating out doesn't mean we don't eat healthily. No, we are said to be some of the healthiest eaters of any generation. While eating out is more common among us than other generations before, it's not about just any food. 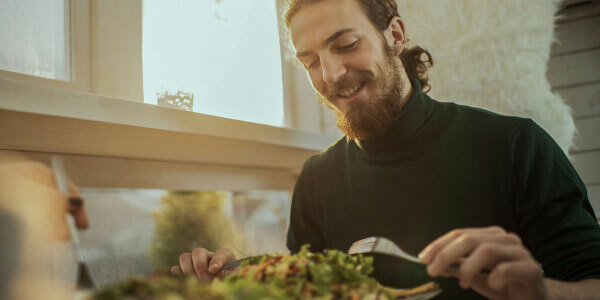 In fact, several U.S. fast-food chains have said that millennials have been largely responsible for their declining sales and, as a result, many fast food restaurants have had to adapt their menus to be more health conscious. In recent years, the question about organic food and whether it really matters and when has frequently been discussed. According to the Organic Trade Association in the U.S., 52% of those who purchase and consume organic foods are millennials. Put simply, food grown without the use of chemical pesticides and genetically modified organisms is surely a good thing. However, since organic produce usually costs more than non-organic foods, it's helpful to know which items really matter. Below are the top 10 foods you should buy organic. Last year, strawberries topped the list of the produce with the highest level of pesticide. According to U.S. environmental organisation Environmental Working Group, a single sample of strawberries showed 20 different pesticides. For many years apples were the most contaminated fruit. While strawberries take that title today, apples are definitely one produce you should buy organic. Full of minerals, vitamins and dietary fibre, unfortunately, nectarines were found to contain 33 different pesticides. Only behind cotton and tobacco, coffee is the most sprayed crop in the world. This also means that it is likely to be the most contaminated food we eat. According to the Environmental Working Group, the average potato has more pesticides by weight than any other food. Although a great source of vitamins and fibre, celery was found to have 64 different types of pesticides. Always purchase organic milk, cheese, and yoghurt. Purchasing organic means the cows were not given any antibiotics or growth hormones and were fed a grain-free diet comprised of grass and forage. Grapes have been found to contain 15 different types of pesticides. Additionally, since wine is made from grape skins, this also means you should also purchase organic wine. Non-organic meat not only contains pesticides due to the animals being fed foods sprayed with synthetic fertilisers and herbicides, but it also contains hormones and antibiotics. Last but not least on our list, on the Environmental Working Group's 2015 report of dirtiest produce, cucumbers were ranked ninth with more than 86 different types of pesticides found. So, the next time you're shopping at your local grocery store, be sure to buy these items organic. It's worth the price. And don't forget, when shopping for your organic foods, a FerratumBank contactless MasterCard debit card allows you to purchase with just a tap of the card. You can also manage and track your everyday spending conveniently and easily through our app. Happy shopping!